The Broil-Mate 165154 is a great mid-sized grill, providing the same power features of the larger models but in a more compact size. With the powerful Dual-H burner, infinitely adjustable burner controls and stainless steel Flav-R-Wave cooking system, the 165154 has everything needed for flavourful results. The large cooking surface and deep oven provide plenty of room for large cuts of meat, such as roasts and turkeys and the cast iron cooking grids hold heat longer, providing searing power to lock in the juices and flavour. Made to last and built to perform you can rely on this grill for many summers to come. Evolution Gas BBQ The Martin Evolution Gas Grill is the perfect companion for any backyard. 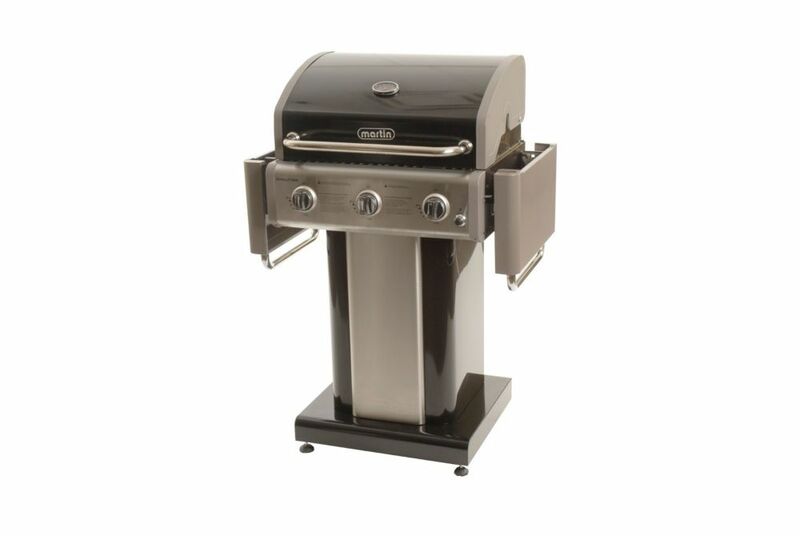 With its double layer lid and pedestal base, this unique grill features 30,000 BTUs and provides a total cooking area of 552 square inches. Assembly required.